The CIA’s new Digital Innovation Directorate — the first new directorate established by the agency in more than 50 years — began official operations Thursday, marking what the agency is characterizing as a major milestone in the comprehensive modernization effort announced in March. The new so-called DDI is tasked with accelerating the integration of advanced digital and cyber capabilities into CIA operations — from tradtional tradecraft to intelligence analysis — and joins the ranks of four existing directorates, including the directorates of Analysis, Operations, Science and Technology, and Support. But what are those fundamentals really all about? 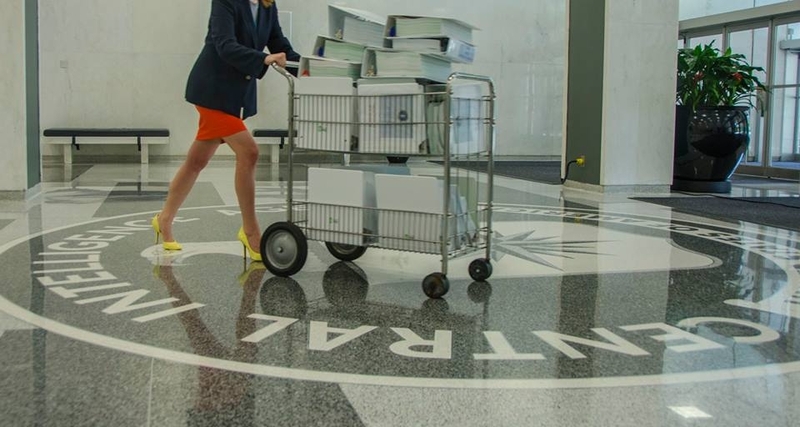 The CIA’s modernization push isn’t simply about another large Federal bureaucracy trying to gain new efficiencies, share more information, satisfy more customers and save money along the way. While all of those things are certainly part of the equation, they are not what’s really driving the CIA down this digital path. The CIA’s digital rennaissance has, in many ways, been forced upon the agency by global technology advancements that both help and hinder the age-old practice of stealing secrets. The nation’s enemies are more numerous, more complex in their command and control structures, and are capable of leveraging commercial technologies and encrypted communications to elude detection and infiltration by human spies. While this complicates the CIA’s intelligence mission, the exponential growth of the world’s technology infrastructure and the enormous amount of data generated has also created new analysis capabilities that were unfathomable just a decade ago. The CIA likes to characterize this data as “digital dust.” But, in reality, it’s more like caked-on mud that makes the notion of anonymity on the Internet a near impossibility. The CIA understands this. That’s why in addition to standing up the new DDI the agency has also embarked upon a fundamental restructuring that places DDI experts at the same table as the agency’s storied operations officers and intelligence analysts. The agency has accomplished this by establishing 10 new Mission Centers that will enable greater focus of expertise and bring the agency’s wide range of specialists together under one roof. At the heart of all of these mission centers and intelligence problems are people. And the CIA is in the people business. People are also now living digital lives, with nearly half of the people on Earth using the Internet. The user base of the top Internet companies in the world — Facebook, Twitter, Google, to name just a few — outstrips the population of China and India combined. Users make 3.5 billion Google search queries per day. The number of mobile phone users is projected to surpass 5 billion by 2017. The critical thing about these statistics is that they represent users who willingly (even if they don’t know it) share their most personal information with these and other companies, and with each other. These interactions create the seeds that sprout into potentially massive associations, correlations and linkages where once there were none. This is what intelligence agencies want and what they need to succeed not only in finding adversaries to turn into spies but also to uncover emerging threats to the nation that have yet to leave a signpost in the physical world. Contrary to popular belief, the CIA and the NSA did not create the conditions that now exist for their surveillance activities. The technological underpinnings of surveillance and intelligence gathering have occurred naturally and are the creation of private sector innovation. And because those who would do the nation great harm have adapted their operations to this new digital reality, it only makes sense that security and intelligence agencies would move there as well. Whether you’re a terrorist or a terrorist hunter, the reality is that people are giving their information away for the taking. Yes, there are questions that societies must ask themselves about the potential chilling effect and changes to behavior that may come from perceived persistent surveillance, but for the CIA and other intelligence agencies the Internet of Things is about metadata. Metadata — that basic information about your digital activities, such as when you made a phone call, what number you called, who you emailed, or what you searched for online — is a goldmine for intelligence analysts who might be trying to identify members of a terrorist cell or the identity of a double agent responsible for leaking classified information. You don’t have to be James Bond to understand the possibilities. Telephone metadata knows who you know; Facebook knows who your close friends and family members are; Google search knows what you’re thinking about and has perfect memory; Websites record who you are and many save and share that information with third parties; Third party advertisers use that information to serve you relevant advertisements. Your smartphone’s built-in GPS tells those advertisers where you are to within a few feet so they can send you ads for nearby stores and products; Networked speed cameras snap photos of our cars with precise location information; and our digital photos and selfies are stored in the cloud, tagged with identities and provide ready access to face recognition technologies. For the CIA, however, it’s the ability of the IoT to remember with perfect accuracy that is perhaps the most attractive aspect of embracing the digital world. For the analysts at the new DDI, being able to go back in time 6 months or a year to understand if a small group of surveillance targets were in the same city at the same time and if they communicated is invaluable. There’s also no denying that it’s more than a little scary.